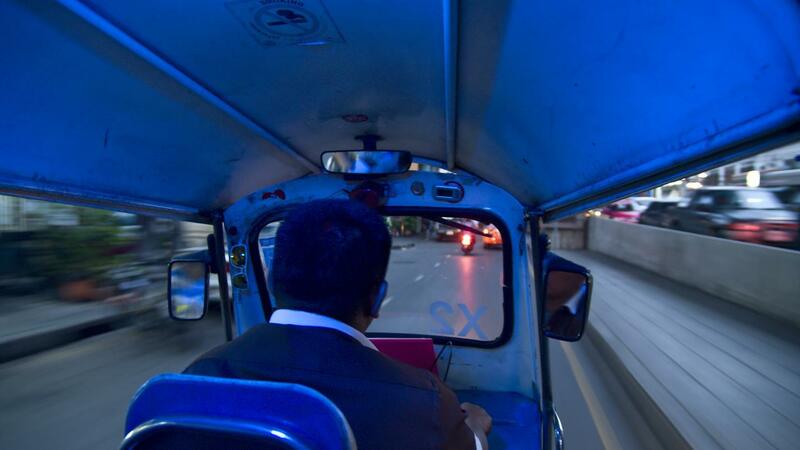 If you’re short on time but want to see the sights north of Bangkok (and really, who doesn’t? ), this is the express trip for you. Take seven days, pack them full of wonderment and reflection in Northern Thailand - Kanchanaburi, Ayutthaya, and Chiang Mai, and plenty of temples, palaces and small villages to explore - and you’ve got a recipe for one of the most memorable weeks you’ll ever have. Toss in the ease of travel by trains and buses and there’s no way you’ll feel like you’re missing out on anything in this dynamic region. Enjoy a unique homestay experience aboard a floating rafthouse on the famous River Kwai. Relax, swim, and mingle with locals in the community. Enjoy a day of sightseeing at Erawan Falls and the Bridge on the River Kwai. Explore the Allied War Cemetery, the Thai-Burmese Railway Centre and the JEATH War Museum to learn more about the area's history. Take in a piece of World War II history on this visit. 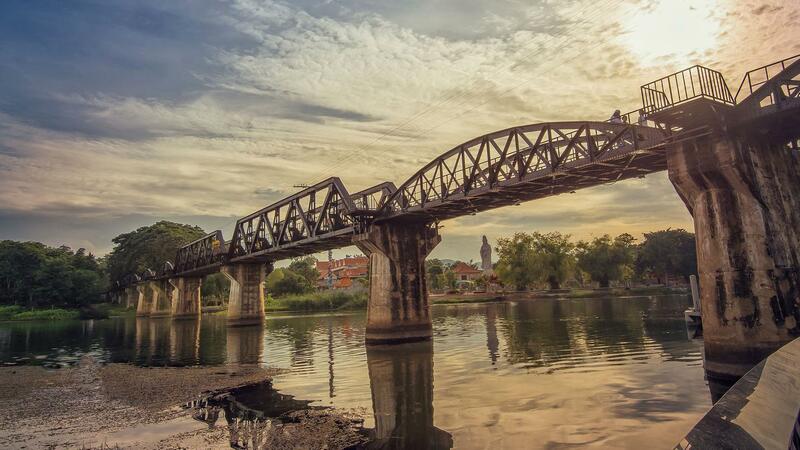 We're sure you've seen or at least heard of the famous movie "Bridge on the River Kwai." Well, now you can tour the real thing. It's massive, majestic, and imposing, and offers fabulous views of the river below. Visit the ruins of Ayutthaya, which served as Thailand’s capital from the 14th to 18th centuries, when it ranked as one of the most magnificent cities in the world. Located 86km (53 mi) north of Bangkok, the ruins of this UNESCO World Heritage Site include stunning pagodas and Buddha images. Take a step back in time at this historically important museum that was once Chan Palace and home to many kings. Tour its pavilions and towers, and admire the extensive collection of antiques and artifacts, including ancient weapons, sculptures, Buddha images, and King Rama IV’s personal belongings. Enjoy looking at objects excavated at Wat Racha Burana and Wat Maha That in the 1950s, including images of the Buddha. The second building displays artifacts from the 6th to the 19th centuries and is a great chance to learn about Thai history. Enjoy free time exploring all Ayutthaya has to offer. Use free time here to make the most of your time in Chiang Mai. Watch a round of Muay Thai -- it's a sport unique to Thailand that’s gaining popularity around the world. Muay Thai has many of the same principles as kickboxing. Learn more about this engrossing sport with a visit to a match -- don't worry, you're not expected to pick up your gloves and fight. Allow USD80-105 for meals not included. Local Living: Overnight Rafthouse Excursion, Kanchanaburi. 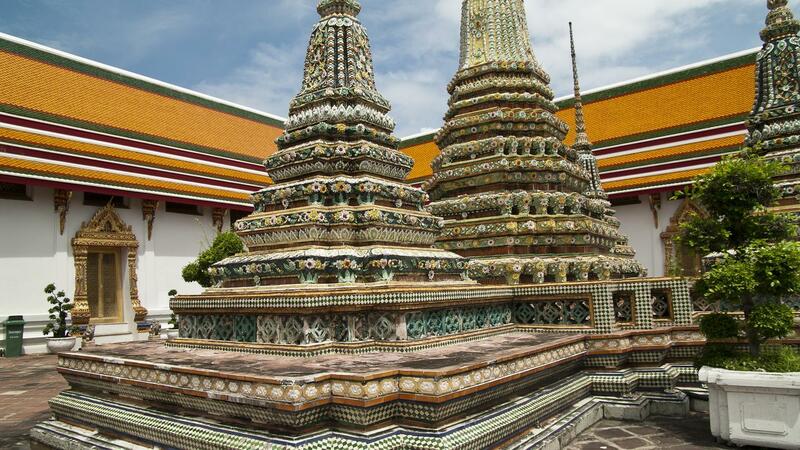 Wat Pho visit. Klong riverboat tour. Erawan Falls and Bridge on the River Kwai visit (Kanchanaburi). Thai-Burma Railway Centre and Allied War Cemetery visit. Temple ruins tour (Ayutthaya). Doi Suthep temple visit (Chiang Mai). All transport between destinations and to/from included activities. Please note that if you have booked the "My Own Room" option for this tour, you will receive your own single accommodation for all night stops, with the following exceptions: Night 5, sleeper train. The airport is located 30km’s away from downtown Bangkok. Approach the taxi counters, advise them where you are going and they will write this information down for you along with the taxis registration details. Taxis should always use the meter and you are required to pay a 50 Baht airport surcharge on top of the metered fee plus any tollway fees (approx 75 -125 Baht depending on the route taken). Total journey will cost between 350 THB – 500 THB, depending on traffic and toll fees. The expressway is substantially faster, so tell the taxi driver to use the expressway, you can say either ""kuen ton-way"" (from 'tollway') or ""kuen taang duan"" in Thai (but most understand Tollway/express way in English). You should consult your doctor for up-to-date medical travel information well before departure. We recommend that you carry a First Aid kit and hand sanitizers / antibacterial wipes as well as any personal medical requirements. Please be aware that sometimes we are in remote areas and away from medical facilities, and for legal reasons our CEO's are prohibited from administering any type of drug including headache tablets, antibiotics, etc. In Asia pharmacies tend to stock the same western drugs as you get at home but they are usually produced locally so please bring the full drug name with you when trying to purchase a prescription drug. When selecting your trip please carefully read the brochure and itinerary and assess your ability to cope with our style of travel. Please refer to the Physical and Culture Shock ratings for trip specific information. G Adventures reserves the right to exclude any traveler from all or part of a trip without refund if in the reasonable opinion of our CEO they are unable to complete the itinerary without undue risk to themselves and/or the rest of the group.